I can’t help thinking about Paul Robeson while I try to sleep. 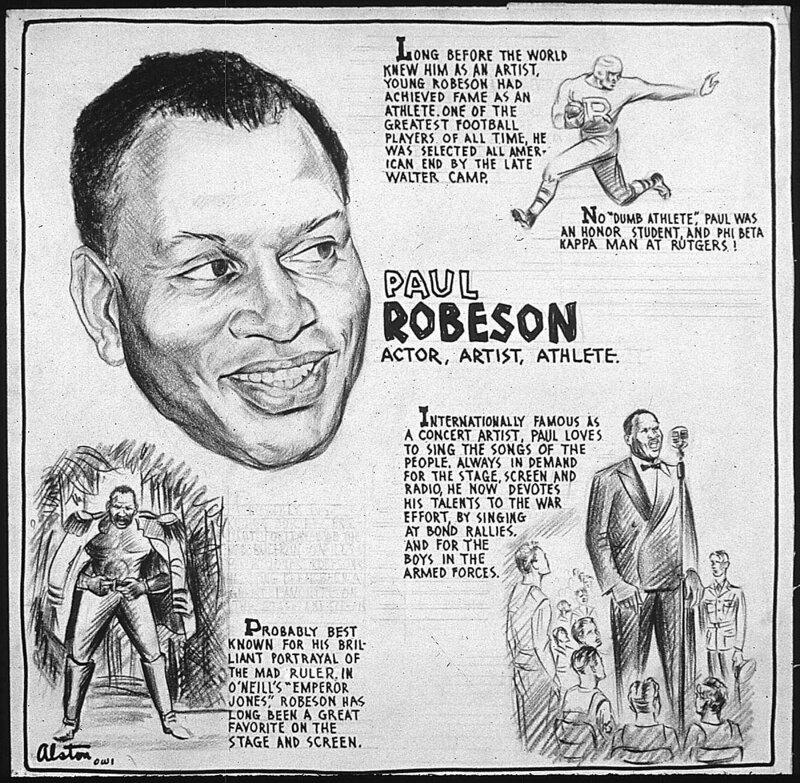 Born in 1898, the literal Son of a Preacher Man, Paul Robeson earned a four-year scholarship to Rutgers. Recognized as Phi Beta Kappa, he was also valedictorian of his class at Rutgers while simultaneously earning 15 letters in track, baseball, basketball, and football. As if this wasn’t enough, Robeson was also an *All-American* footballer in his college years. He played professional football on the weekends while attending Columbia law school but dropped out as he saw no future in the racially tainted New York Bar Association. His education continued, as he would master more than 20 languages in his lifetime. Forsaking his love for law for a future on stage and screen, his silky bass, charismatic performances and educated theatrics quickly catapulted Robeson into the world’s biggest Black superstar to-date. His outspoken voice drew attention to injustices not just at home, but around the world. But his communist worldview put him on the FBI watchlist, and that gatherered over 3,000 pages on the man. His reputation, tainted by these associations, resulted in him having his passport revoked for much of his life. Though he was barred from traveling internationally, Robeson should be remembered as a hero for the everyman. Though he may best be known for his rendition of Ol’ Man River from the classic musical Showboat, Robeson’s unique and troublesom life experiences conspire to make, perhaps, the most influential and poignant American of all time. While historians, and even the State department, are finally coming around to recognizing Robeson’s tremendous contribution to the human race, we are deeply in danger of glossing over his mistreatment. What Paul Robeson accomplished in his limited capacities is beyond extraordinary. He is truly the finest breed of man, a humanist, a dissident, a global citizen able to communicate at both the most intellectual and primal levels. A hero. Arid our marching steps will thunder: we survive’.